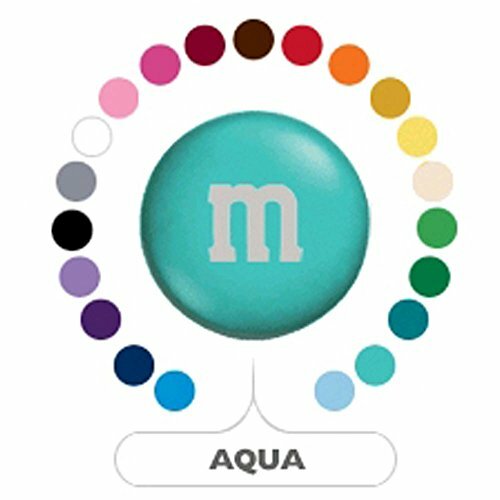 Classic milk chocolate M&M's candies featured in various colored candy shells. Create a candy bowl to match your event color scheme! What's is your wedding theme or color of your party? For any color scheme, we've got a candy cane to accessorize your party table layout. 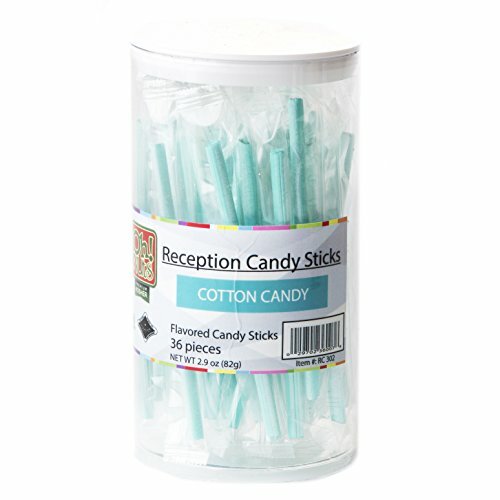 Elegant reception stick candies come in hues of all colors and are varied in flavor, too. These candies make great party favors and are individually wrapped, making them germ-free as you pass them around at your party reception or lay them out with your party place cards. A variety of candy stick colors allows you to order the flavor and hue of party candy that fits your party plans. This is a favored candy give-out for wedding reception favors, bridal shower candies and baby shower accent candy. These candy sticks look great, whether you are sticking them into a candy jar as a centerpiece or whether you are taping them to your little party cards. And now, these delightful (and Kosher) old-fashioned candy sticks are on sale. Three tubs of candies for the price of Two. Pick your colors and flavor and order in triplicate. Hard candies for parties made delicious and easy to order. Make sure everything matches at your next party, right down to the geometric shape of your candy buffet. With the Round Party Candy Kit, you can have just that. 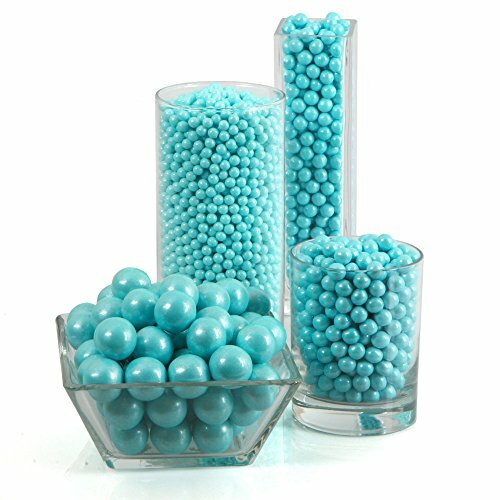 This candy buffet kit comes with shimmering blue candies - large Gumballs, medium Sixlets and little Pearls, all in a uniform ball shape. Add the finishing touch with our exclusive Squiggle Chevron stickers to dress up candy container or close your goodie bags. Blue Round Party Candy Kits are a great compliment to baby shower, birthday party or bridal shower themes. Rock candy is a vibrant, old-fashioned treat perfect for recalling childhood days. Old Fashioned style rock crystal candy was popular in America during the 1800s. Each crystal is bursting with color and flavor, ensured both by each rock candy stick being wrapped and the naturally long shelf life of the sweet crystals. Rock Candy never goes bad or gets sticky or gooey even when enjoyed outside on a hot summer day! The sweetest of teeth will want to enjoy this simple treat. 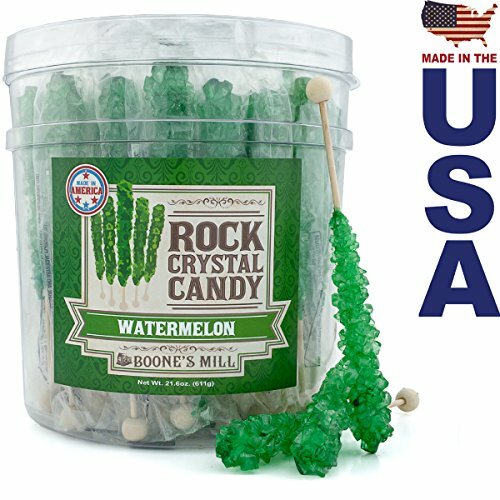 Boone's Mill rock candy is available in twelve different flavors sold in 24 count cartons or 36 count tubs. Rock candy can be bought by the flavor or purchased by various themes to celebrate the holidays! 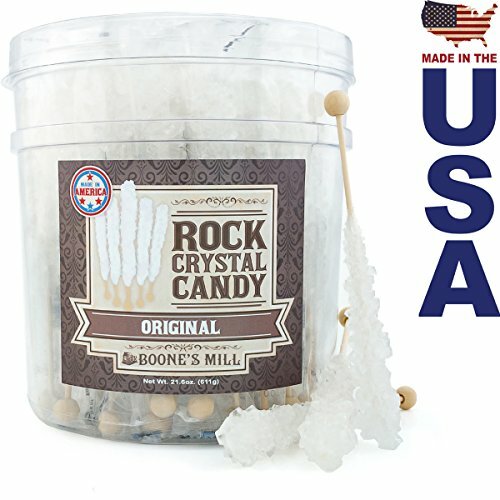 Boone's Mill Rock Candy is made in our crystal growing rooms right here in Indiana, USA! 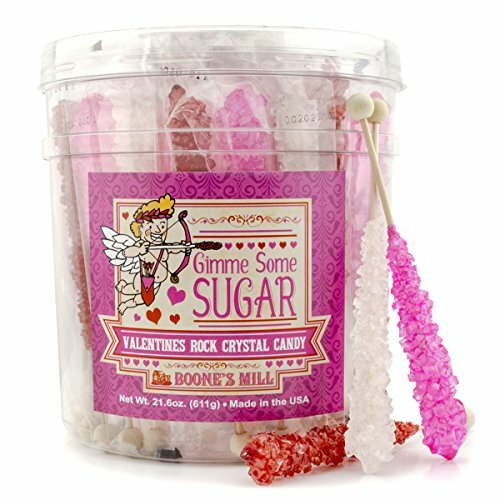 Boone's Mill | Holiday Themed Rock Crystal Candy Sticks | Valentines Rock Candy - Gimme Some Sugar | 36 ct.
Rock candy is a vibrant, old-fashioned treat perfect for recalling childhood days. 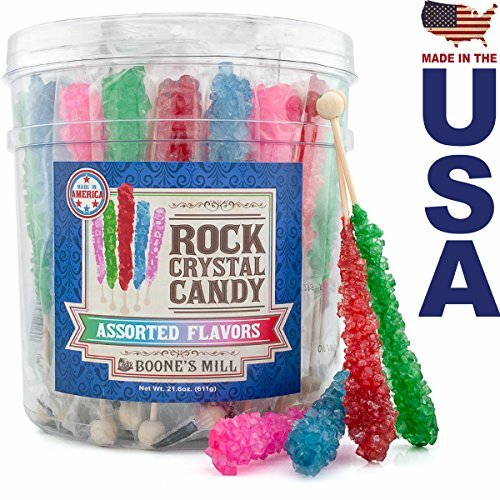 Each crystal is bursting with color and flavor, ensured both by each rock candy stick being wrapped and the naturally long shelf life of the sweet crystals. The sweetest of teeth will want to enjoy this simple treat. 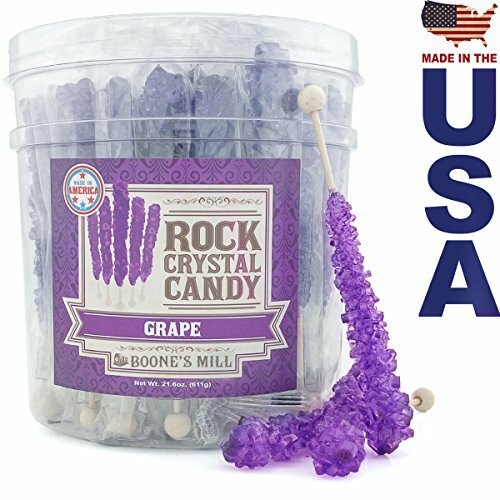 Boone's Mill rock candy is available in twelve different flavors sold in 24 count cartons or 36 count tubs. 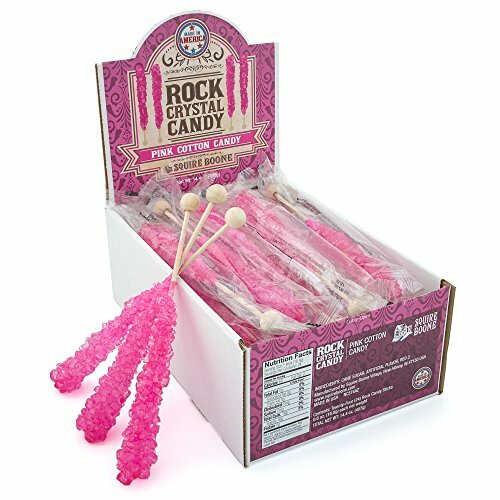 Rock candy can be bought by the flavor or purchased by various themes to celebrate the holidays! WHY Color Grade TEAL And ORANGE?!?! 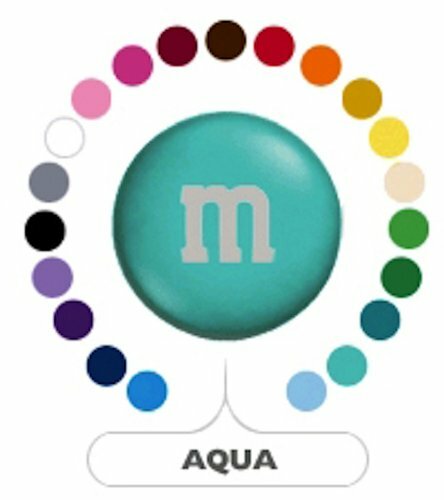 Compare prices on Aqua Colored Candy at ShoppinGent.com – use promo codes and coupons for best offers and deals. Start smart buying with ShoppinGent.com right now and choose your golden price on every purchase.